I can finally share with you all some news I have been holding inside for a couple of months…guess what it is??? I was asked to be a guest designer for Ustamp with Dawn and Friends with love…2010!!! What is UStamp you may ask??? It’s an online class run by Dawn Rapsas (Stampin’ Up!’s 2009 #1 USA Demonstrator of the Year) and her friends from around the world. Every day for 28 days or so, members of UStamp are able to download a new project tutorial. Plus there are dail prizes, live chats with other members and designers, an organized swap and guest apprearances from some of the best SU designers out there! Did I mention I’m excited??? I have been a member of UStamp since the Fall session and have reaped the reward of downloading some great projects. One evening in November I was answering emails like any other evening and came across a message from Dawn, which in itself was not unusual – often there are messages from her regarding Ustamp updates. I didn’t realize until I opened the message that she was addressing me personally and asking if I would be interested in being a guest designer for the first 2010 UStamp!!! I honestly sat there for a few moments wondering if she sent me the message by mistake! Me??? How does the #1 rated US demo even know me??? My heart was beating very fast and I couldn’t sit still! I called my husband over and showed him the message, explained what this meant and I didn’t quite get the response I was looking for…so I called my mom. Surely mom could react in the appropriate manner! I was not disappointed – she was more than supportive and assured me I could take on this challenge…so here we go!!! I am so happy to announce opening day for “UStamp with Dawn & Friends!! “with Love… 2010” will be January 15th. Don’t you just LOVE the new banner??!! Thank you all for allowing me to continue to share my passion of Stampin’ Up! with ALL of you around the world. As you may have guessed by now, we are planning to kick off 2010 with lots of LOVE!! The Design Teams are very excited about the soon be released Stampin’ Up! 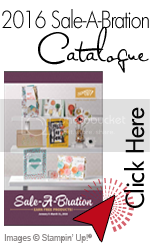 stamp sets and products – January is a BIG Deal at Stampin’ Up!. The Design Teams are whipping up a creative storm and can’t wait to share…it’s like tryin’ to hold back wild horses I tell ya!! LOL!! UStamp with Dawn & Friends!! “with Love 2010” will deliver all same opportunity to do something REALLY FUN, even if only or a few minutes a day, to check out a project or peak into the chat room to say hello to some friends around the world. Don’t we all deserve a few minutes of fun to help us re-charge and enjoy what we love??!! Of course we do!! One of the many great things about UStamp is that YOU create when YOU are ready. LOVE the projects, but don’t have time to make them yourself right away?? No worries!! The website will remain open for many months, ready when you are to create so you won’t miss out. You can access the official UStamp with Dawn and Friends website here to sign up. How would you like to win a FREE PASS??? Dawn gave me a pass to give away and I’m so excited! All you have to do is leave me a comment below answering this question and I will draw a winner on January 1st, 2010! If you have already paid and are a winner, no sweat, you will receive a refund. QUESTION: Do you prefer traditional wood stamps or clear stamps on acrylic blocks? Maybe you don’t have an opinion, let me know that too! There is a really good reason I ask this question so I’m looking forward to your responses, so add a comment – you might be the lucky winner! I just love the feel of traditional wood. You seem to be able to hold on to them better. I immediately hauled out my credit card and subscribed to UStamp so I can download your tutorials. Don’t underestimate your talents and I know you will do well. WOW congrats Natasha! This sounds like a wonderful opportunity. I have to admit that my preorder came right before Christmas. I pulled out my new sets and clear blocks but have not used them! I mounted one set (got the stickers on and such) which was easy and stuck one to the block. It seems wonderful and it’s so compact!! I already love that! Looking forward to seeing your work! Congratulation – this is a win-win for everyone. I’ve just had my first few experiences with clear mounted stamps and there are some things about them I really like – visibility being the first on the list. However, I think for long term use I’ll always favor wood-mount. They take more space to store but they’re there, ready to go at a moment’s notice when you’re searching for the perfect finishing touch. I can see a place for both in my craft studio. Don’t worry, Natasha – I know you’ll do just great with your creations! I like the new clear mount stamps for my personal use (gotta love the smaller storage space required!) but for my stampin’ business I prefer the wood blocks – I will have to order a LOT of the clear blocks for my stamp-a-stack classes if the stamps I use require the same size blocks. There are pro-and cons to both. Congrats to you on this exciting news! I hope you have tons of fun creating. I like both stamps styles for different reasons. I like the storage factor on the clear mounted stamps, but I love the wood mounts and will continue to buy those most of all. Oops, I meant the organization of the clear stamps!! Sorry. I like the clean edges of rubber stamps (usually mounted on wood) for most things, but I also like using clear when I need to see exactly where to line things up. Congratulations on your exciting news! I visit often and think you are very talented. I like the concept of both types of stamps. Clear are easier to store and make backgrounds easily without the help of a stamp-a-ma-jig, but I do love my wood mounted stamps! Congratz Natasha – I’m excited for you! I like the concept of clear stamp, but not impress with the stamp-image quality – so I’d go for wood mounted stamp for now. I prefer clear stamps only because I can see where I am stamping i.e. for more accurate placement. I use my Stampamajig alot but find that being able to see where I am stamping is a great confidence tool. Acrylic Stamps dont take us as much storage room and the stamping blocks are alot easier to keep clean. Don’t get me wrong, I luuuuuve my wood mounted stamps to and would never part with any, but acrylic stamps are my favourite. I can’t wait to get my hands on the new Stampin’ Up acrylic stamps or to see what you do with them also. I have only used the wood blocks and am anxious to try SU’s new acrylic blocks! The storage problem would certainly be solved! Congratulations! Although I’ve only used the traditional rubber stamps mounted on wood blocks, I’m definitely going to try the rubber stamps with acrylic mounts since Stampin’ Up will be selling them soon! I have a feeling I’m going to love them! Congratulations on your new creative venture! I know you will do a fabulous job! As for my preference on stamps, I am very excited about clear mount stamps with the ease of seeing exactly where I’m stamping and the reduced storage requirement. As a demonstrator it will be more challenging for classes to have enough clear blocks to go around. I’m glad we all finally have the choice! OMGosh Natasha, I just stumbled upon your blog and REALLY, is it any surprise that you would be a guest designer?!?!?! Your projects are amazing! I don’t know how I’ve missed your blog in the past, but I’m so glad I found it now! Looking forward to many more fantastic ideas to CASE from you hee hee! What an awesome opportunity for you. Congratulations! Congratulations I’m very excited for you! I look forward to see what you come up with for UStamp. As far as stamps mounts go. I’ve been stamping a very long time and have always prefered the wooden mounts. I had some of the earlier clear stamps and they actually dry-rotted. I love the feel of wood-mounted stamps but love being able to stamp “double” images with clear stamps. I prefer the rubber stamps, whether they are mounted or unmounted, I just prefer the rubber to the acryllic. Don’t get me wrong, I have tons of those $1 sets that you can find everywhere and I do use them often. But giving the choice, I’d still grab rubber stamp. Congrats on being selected for Ustamp! Congrats on being a guest designer; I think you will do great! I look forward to trying the clear mount stamps. The lower cost and compact storage is appealing; however, having to mount a stamp every time I need it and the possibility of ‘losing’ one in my craft area are concerns for me. Congrats you have some wonderful projects. I actually have cased a few of your projects. For the Clear stamps I am liking so far. But we will see when I have a class in January. I might just need to purchase more Acrylic blocks that are the popular ones. Congratulations, glad you have your Mom, sometimes guys don’t get the excitement of having all your hard work recognized. I would love to win a pass to this exciting event, thank you for the chance and all the wonderful ideas that you have shared already. I love rubber stamps, whether wood mounted or clear stamps mounted on acrylic blocks. I think the new rubber stamps mounted on the acrylic blocks that Stampin’ Up! 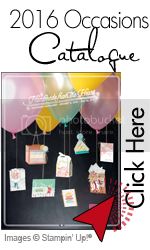 is offering will be the best of both… the crisp image from the rubber and being able to position the stamp and see where it is going on your cardstock. The storage problem (if you are a collector like me) will be greatly helped with the new DVD case storage. Congratulations on your new “adventure”! You have great ideas; in fact my family LOVED the “Tangled Yuletide Strains” game! Thanks for the great idea! Congrats, Natasha! You will be such an asset!! I’ve only used wood mounted stamps but I’m open to and excited to try our new clear stamps! Bring them on!! I’m so excited for you and CONGRATS.. Would love to win a free pass. I love both, however am partial to WOOD!! Wow! Congratulations on being selected as designer!! You will be great with Ustamp!! I love your blog and visit blog every couple of weeks to catch up. I have only just started using the clear mount stamps but I do like the finger indentions on all 4 sides and being able to see what I am doing. Since I have only just started using the clear mounts, I am not sold, yet and will probably continue to order both until I decide. Have a great rest of the week! I just plain love stamps. I have a feeling that my rubber ones (unmounted) will last much longer than my acrylic ones, though. Congratulations! Congrats on being a guest designer. You will do great, no doubt about it. On preferences between wood and clear mount stamps I have never used the clear mount stamps but I think it would be easier to see exactly where you are stamping an image for me anyways. I am looking forward to trying them out. I do love the feel of the wood stamps. I have used some clear stamps and I love that you can see where you are stamping, but then I can do that with the Stamp-a-majig too. Congrats too – you will do well. I love your inspiration and tutorials. Have fun and all the best of the new year. I love the SU wood-mounted stamp sets. The only clear ones I have used previously are the cheapo $1 ones. Boy, was I shocked at the difference when I got my hands on SU’s clear-mounted rubber stamps! So…the verdict is still out on which will be my favorite (but it will be SU all the way!!). So excited for you….I’ve been on the fence for a few months now on if I should join….as for the new SU sets…not sure I have two sets not the blocks yet….waiting till i can earn the hew hostess set, looks like B Potter art. First I want to say congratulations natasha. I read your blog every day and you definitely inspire me. to purchase that type as they are much easier to store. CONGRATULATIONS!!! Aren’t you just SO excited! You have got to be giddy! I am just being able to participate in my FIRST EVER Ustamp event. I can NOT wait to see what everyone has in store! I have been a die hard wood fan for a L-O-N-G time, but SU has out done them selves again! Their clear blocks are the Bomb! I am so glad I get to save space! I hope everyone else will at least give them a try. They really do feel like our wood blocks do in your hand! See you January 15th! Congrats to you Natasha! Wow what an achievment..you must be so excited. I have better luck with SU acrylic blocks then others. I don’t know what I do wrong. I just don’t seem to work with them well. Hope I get the free pass so I can see what UStamp is all about.